Mini cordylines are smaller, more compact cordylines that usually have dense foliage and an upright growth habit to less than 1 ½ meters. Because of their compact size they can be used as an edging plant, mass planted, are extremely useful in courtyard gardens and look great in pots. Mini cordylines offer fantastic versatility in landscaping as well as colourful foliage for flower arrangements. They are generally very vigorous and robust and there is a great selection available for both full sun and part shade conditions. The advent of tissue culture and megawholesale nurseries has had a negative impact on varieties you will find in most retail nurseries and places like Bunnings. So many plants these days are propagated for “pot impact”, trends and temperate climates rather than longevity or long term desirability in a tropical or subtropical garden. Unfortunately that makes a large range of mini cordylines difficult to find for the home gardener. 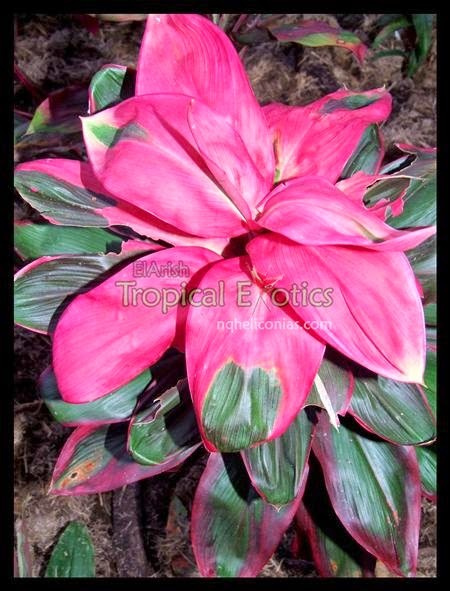 At El Arish Tropical Exotics we grow a pretty good selection because we just love them! Below we’ve highlighted some of our favourites for landscaping. You’ll find a surprisingly high number of mini cordylines that do well in full sun. Some of the toughest come from the compacta family. 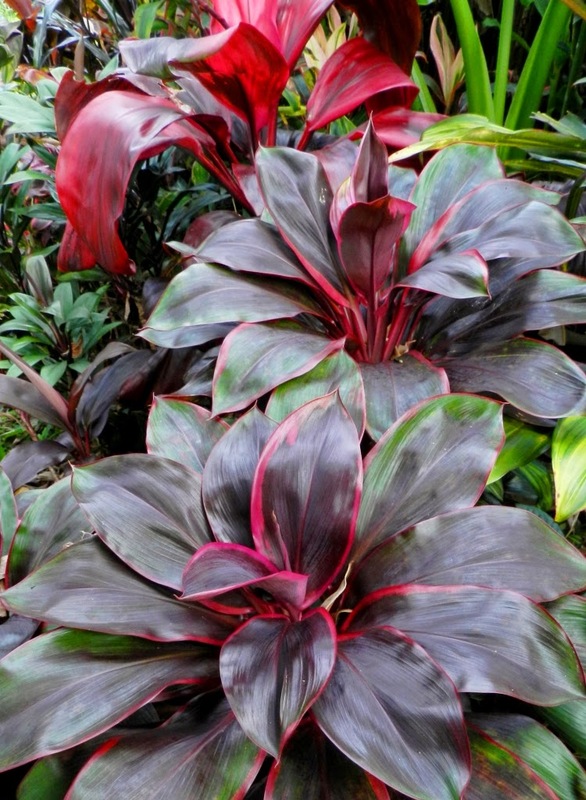 Cordyline compacta is a dense tight plant with deep purple leaves that turn eggplant black in full sun. Cameroon is another mini from the compacta family that is equally as tough and vigorous. Cameroon is similar in size, shape and growth habit to compacta with more chocolate colouring and leaves edged in lime green. Both are also grown commercially as foliage for cutflower arrangements as they last for weeks in arrangements. In recent times other sports of compacta have come on the garden scene Moonlight has yellowish brown to a silvery plum leaves, while Gold Edge is similar to Cameroon with a thick bright yellow edge. Brand and Lime is another sport from Cameroon and has lime green leaves with coffee colour markings and is not quite as robust in growth as its mother plant. Chocolate Swirl has attractive variegation in leaf but prefers a little protection from afternoon sun. Cameroon is a great all rounder with year round color. Another mini developed in Tissue Culture with beautiful variegation is Amanda’s Blush. Base colour is dark red and leaves are edged and variegated with pink. This is a standout when massed planted in the garden. It prefers very good drainage and a well lit position with some protection from the hot sun. Some other great varieties with full juno leaves and great colour are Suzi’s Choice, a striking mini with deep pink flushes of pink on leaves and Kauai Beauty Mini, deep bronze/green leaves new growth flushes red in cooler months. Both are very strong landscaping plant and good consistent growers. Best colour is achieved in the cooler months. Many of the great mini cordylines available in Australia like so many other world class cordylines have been bred in Hawaii. Along with Kauai Beauty Mini some other excellent choices for tropical landscaping include Malia, Maui Silva, Hawaiian Girl, Miss Hawaii, Kalani Koa, Mini Mauna Kea Juno, Mini Mauna Kea Snow, Green Jade, Haole Top and HaoleBronze. In between mini cordylines and what is considered standard size cordylines are a group that can go either way. While Tutu and Daintree Delight are still considered minis they are slightly larger than the average mini. Vanuatu, Jamie Boy, Robin’s Red Breast, Vanuatu, Holiday Inn, Kaui Rose, Aussie Delite and a number of other cordylines that have a compact size in common. These in betweenies are perfect for smaller spaces or for dense plantings. They can help give the illusion of a space being larger than it is. Remember a mini cordyline isn’t necessarily a small grower left to its own device. Generally it is preferable to prune the tops occasionally so they will achieve a bushy shape. The tops can be used as propagation material or can be used as foliage for flower arrangements. A grouping of mini tops can make a stunning table arrangement. 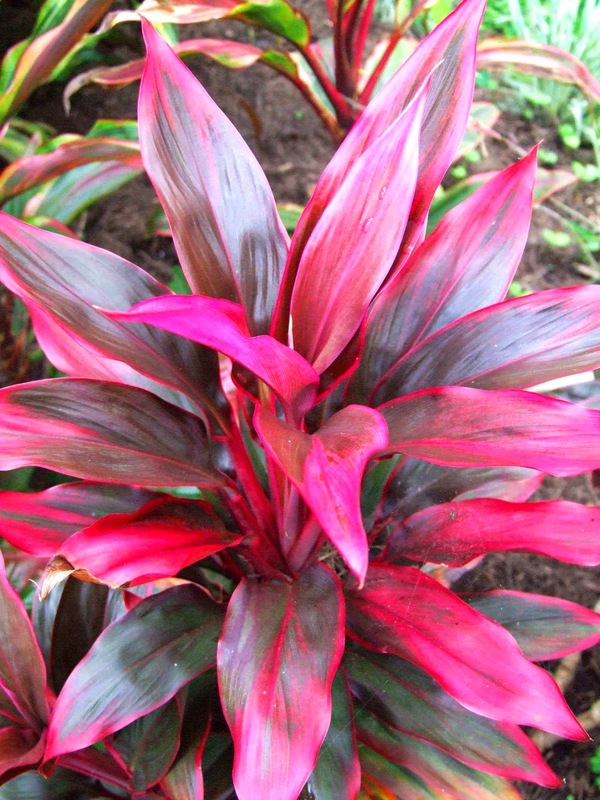 Mini Cordylines are easy to grow in rich well drained soil. They will achieve best colour when fertilized regularly with seasol and mulched regularly. With a little TLC you can achieve year round colour and texture in your garden by landscaping with mini cordylines. You’ll always find our “in stock” selection here. 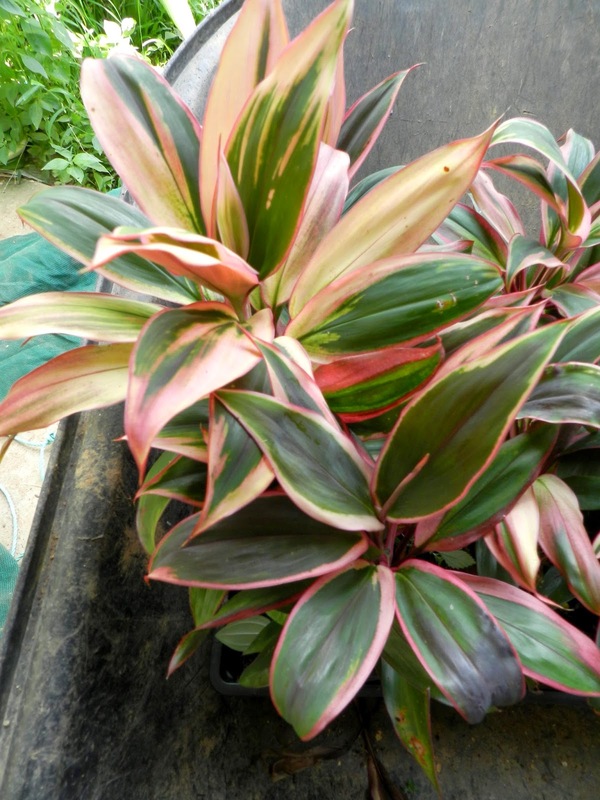 We also offer a number of bulk buys for mini cordylines. 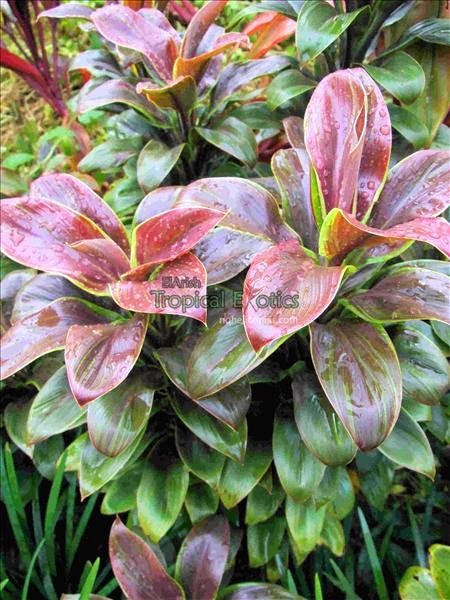 You'll find all our cordyline bulk buys here. We hope you’ve learned a bit about minis! I Absolutely Love Suzi's Choice!